A very interesting photo with a great background showing an EMF above, winner of the Medium Car Road Race, held in Anaheim, California, on July 4, 1912. 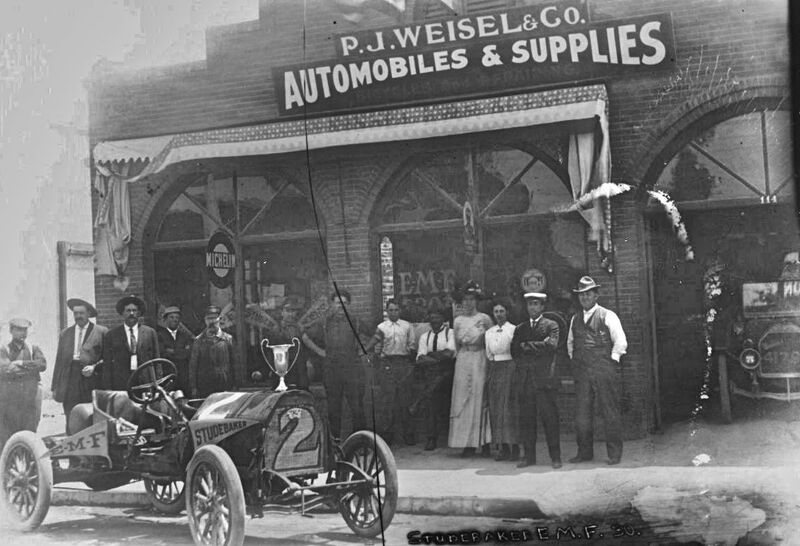 It is displayed in front of the P. J. Weisel dealership. Ivan Pozega found the following information contained in the next paragraph about Weisel. Since Ivan found that information I was lucky to find a short reference to the race course being four miles long and run for five laps. With the this was the following which may be for a different race, other than the one the EMF above won; Jim Kincaid, Flanders 20 finished 1st averaging 40.27 mph. A. Schindeldecker, EMF finished 4th. Also found were the results of the Motorcycle Road Race and photo below. The article was in the Anaheim Gazette, on the very same date. It gives us the road and streets the race followed along with this wonderful photo of “Butch” Bittner below, who won the motorcycle race. “The Day Program, All Races for Fine Silver Loving Cups”; Alfred “Butch” Bittner, winner of the 20-mile motorcycle race, which went from Los Angeles Street (now Anaheim Blvd. ), to Center Street (now Lincoln Ave.), west to Walnut Street, south to Ball Road, east to Los Angeles Street and north to Center Street. 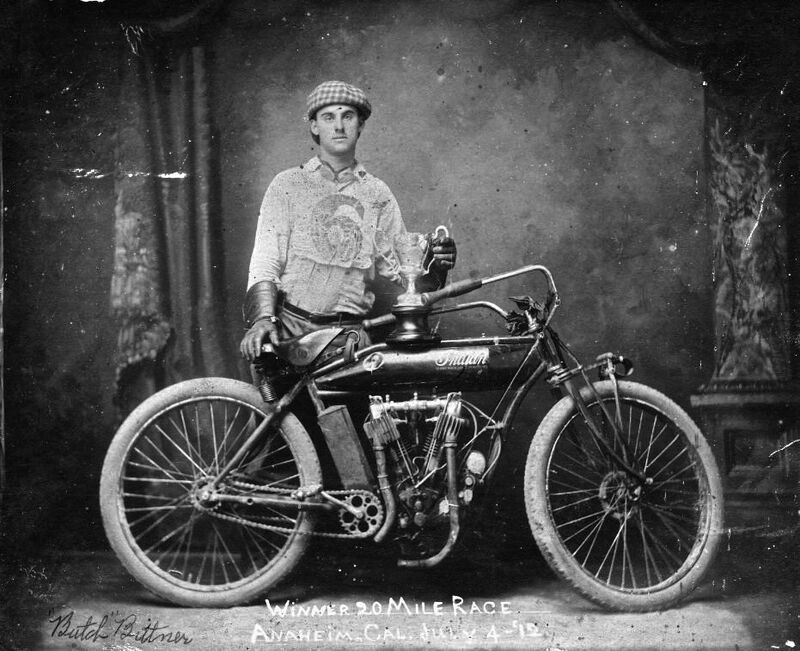 Bittner is standing behind his 1912 two-cylinder, 7-hp Indian Twin motorcycle, wearing his racing entry number “6” and holding his silver loving cup; the race was won in 24 minutes, 6 seconds; one photo inscribed in white text along bottom “WINNER 20 MILE RACE / AHAHEIM, CAL JULY 4 – ’12.”. This entry was posted in Auto Racing 1894 - 1942, Motorcycle photos and tagged EMF, Indian.